Ginger is nothing short of amazing. 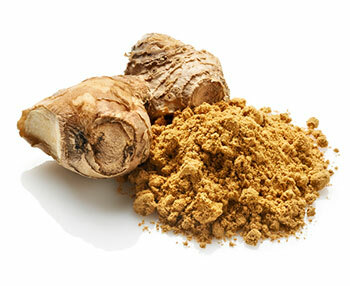 The root of the ginger plant is a widely used spice, revered in some parts of the world for its medicinal properties. Taken on its own, ginger can be an incredible health boon. But when you add ginger to a detox water routine? You can see several immediate benefits. 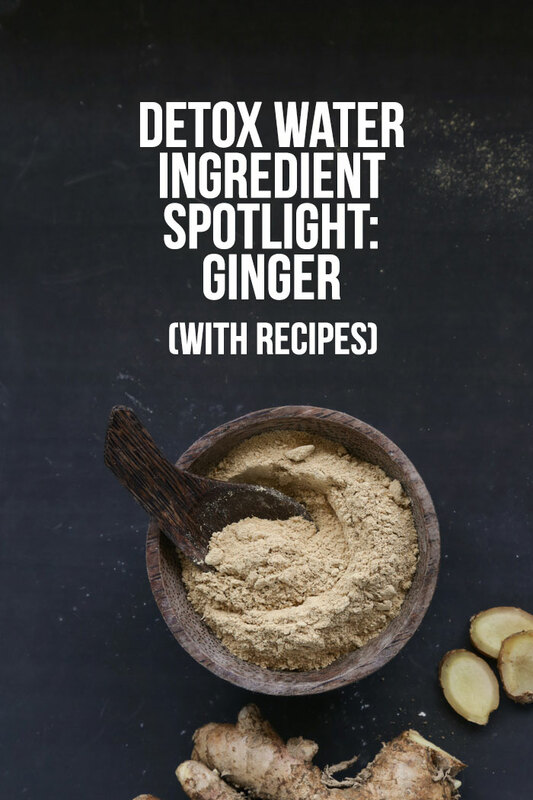 Today we are going to take a closer look at ginger, go over some of the many health benefits it can provide, and even provide you with some great recipes for how to make your own homemade detox water using ginger as an ingredient. 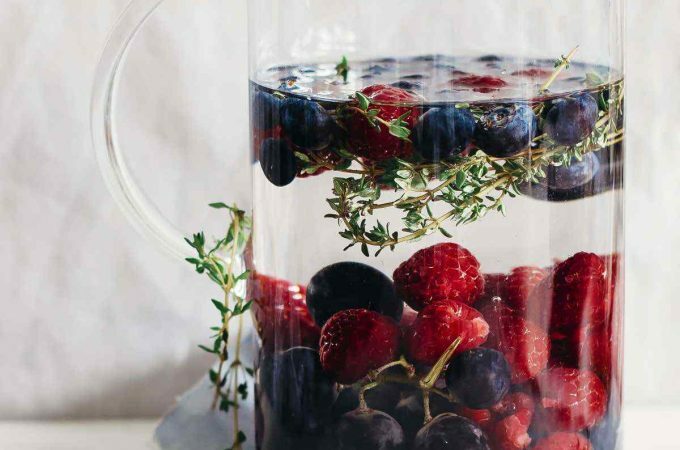 Before we begin, as with everything, be sure to consult with your doctor for the appropriate medical advice before beginning any new diet (particularly a detox water diet) or any of the other advice in this article. 1. Ginger may alleviate stomach discomfort and nausea. Nausea and vomiting. Is there anything worse to deal with? Thankfully, ginger is wonderful for relieving both of these unpleasant symptoms. 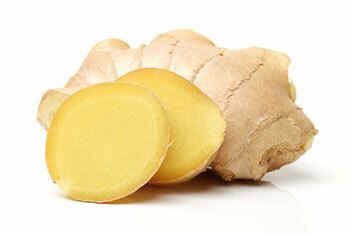 (1) Ginger works especially well for expectant mothers who are dealing with morning sickness. It’s also great for seasickness, chemotherapy-induced sickness and other common causes. 2. Ginger’s anti-inflammatory properties can help ease body aches and pains. Ginger is great for fighting off inflammation within your body. Whether you are recovering from an intense workout session (2) or suffering from pain brought on by osteoarthritis (3) or a similar chronic pain syndrome, ginger can help provide pain relief. 3. Ginger can help with several common digestive issues. Next time your stomach is acting up, pass on the questionable over-the-counters and try a natural remedy like ginger instead. 4. Ginger can help reduce blood pressure. Keeping your blood pressure under control is a great first step in helping to prevent many serious health issues, such as heart disease and stroke. 5. Ginger boosts nutrient absorption. Ginger can improve your body’s ability to absorb nutrients from other food sources due to its ability to stimulate your gastric and pancreatic enzyme secretion. Not only does this help with proper nutrient absorption, but studies have also found that it could help contribute to weight loss efforts. (6) On top of all of the other great benefits that ginger has, aiding with weight control makes it a fantastic addition if following a detox water weight loss protocol. 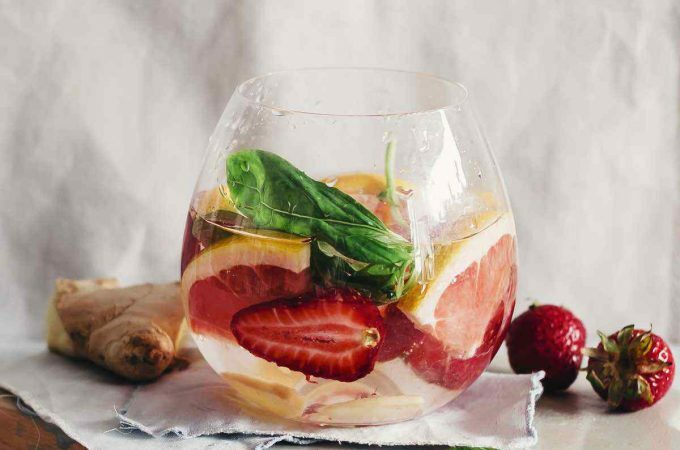 Now that we’ve gone over some of the great health benefits from simply adding ginger to your diet, let’s have a look at three of our favorite tasty detox water recipes that we’re certain you will love. 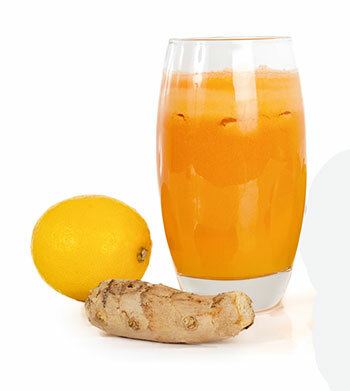 The first recipe that we want to share with you is an all-time classic: the lemon ginger detox drink. It’s simple to make at home and works wonders for overall health and weight loss efforts. All you’ll need is a single teaspoon of grated ginger and one lemon cut in half. 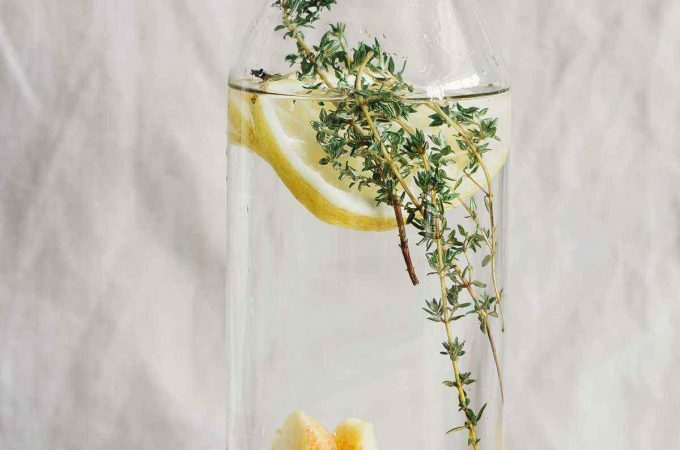 Half of the lemon will be added to the detox water; the other half can be used for garnish. First, make a ginger tea by adding the teaspoon of ginger to boiling water. Allow it to steep for a few minutes, and then pour it through a strainer into a glass. Squeeze half a lemon into the glass, and you’re all set. It can be enjoyed warm or cold and is a delicious way to improve your health. The second recipe we have for you is a slight twist on the first. It’s just as potent for helping you lose unwanted fat around the belly and improving your overall gut health however. 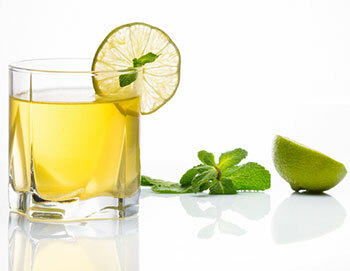 For this, one you will again need lemon and ginger, only you’ll be adding cucumber and mint as well. It requires one lemon, a medium cucumber, two tablespoons of grated ginger, and about 10 mint leaves. The first step is to infuse the mint leaves in boiling water; then, squeeze the lemon juice into it. Peel the cucumber and blend it up before adding it to your infusion. Add just under two liters of water to the mixture, stir in your ginger, and you’re all set to enjoy this tasty detox water for a flat belly. The third recipe that we’ll be talking about packs quite the healthy punch as well. 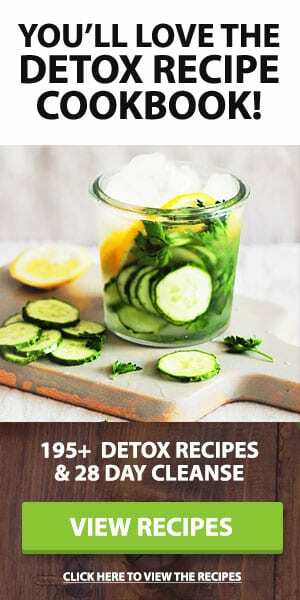 It’s similar to the previous two detox water recipes, but it changes things up just enough to be well worth your while. This time around, we’ll be combining two cups of warm water with one tablespoon of freshly squeezed lime juice, two tablespoons of raw honey, and adding ginger to taste. Mix it all together and enjoy. The lime gives great citrus flavor while the ginger and honey work in tandem to really provide some incredible health benefits. 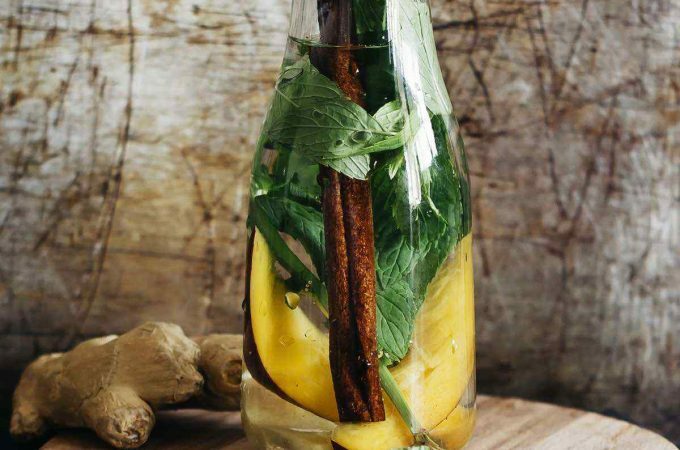 Whether you drink them in the morning to start your day off properly or as a way to relax before bed, all three of these ginger detox water recipes are easy to make and delicious to boot! We recommend choosing one and trying it for a month. Don’t be surprised if you see the pounds start to melt away. Some people find it to be a near-effortless way to lose weight. 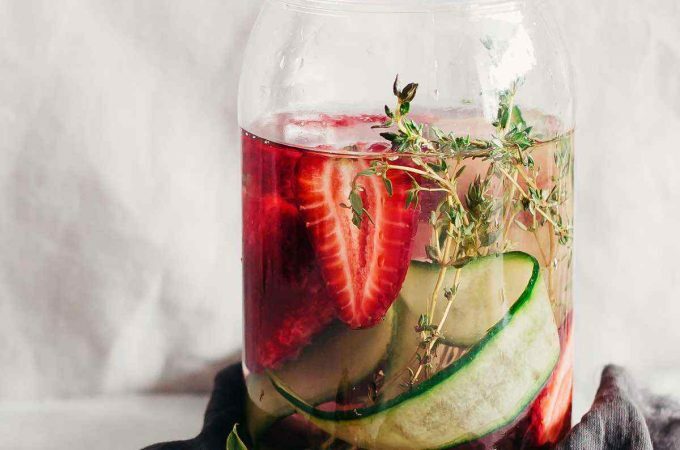 Maybe losing weight isn’t your goal, and you’re wondering what does detox water does exactly. Does it even apply to you? We think so. 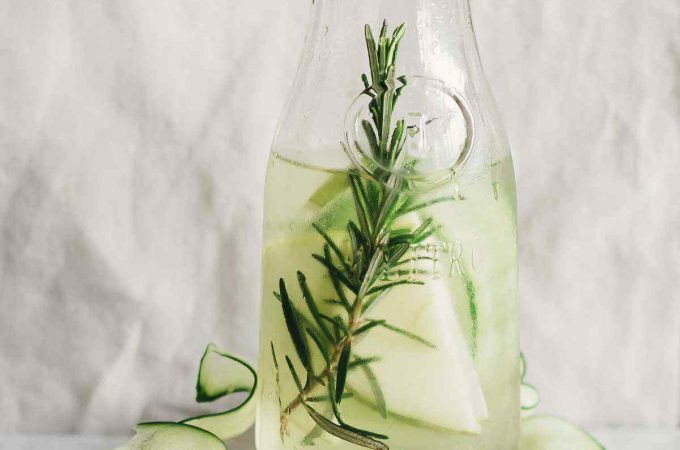 It’s so convenient to whip up a refreshing detox water drink containing ginger so there’s always something refreshing in your fridge—and that lets you reap some incredible health benefits along the way. It’s certainly far more enjoyable than just chewing on the root! Be sure to try out all three recipes we’ve provided for you and let us know how they work out for you. 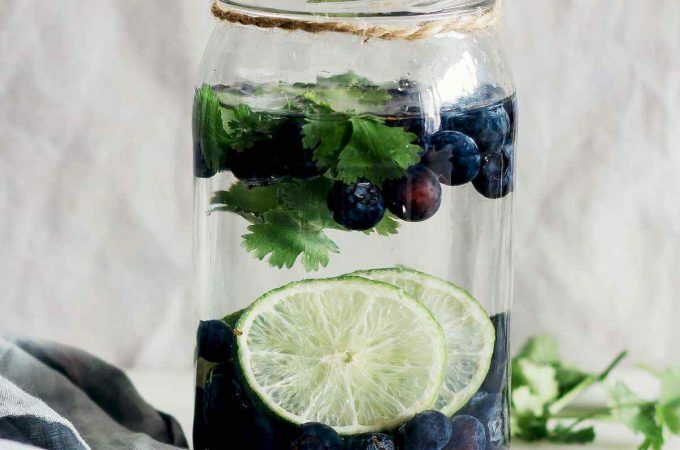 We’re sure they will quickly become favorites in your detox water arsenal.